An early meeting of the Upper Comberland Horseback Riders Club. 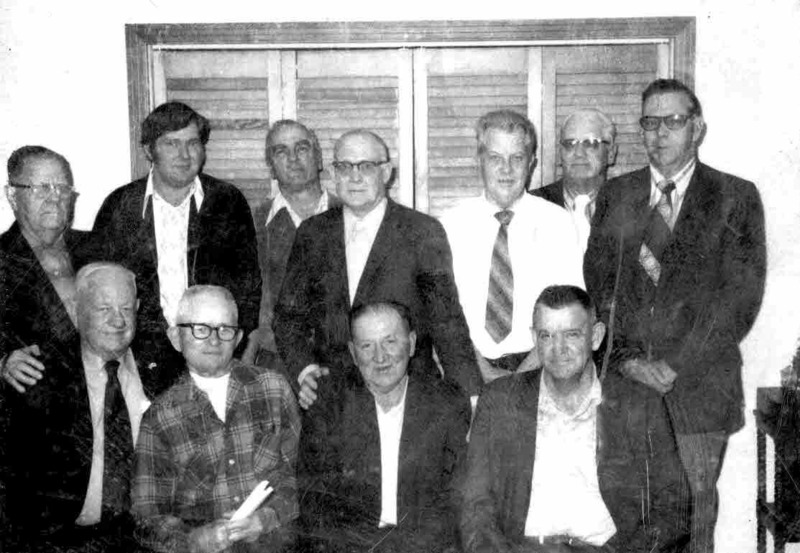 Front from left above: Hubert Crawford, can't remember, Festus Robbins, Tom Roberson. Back from left above: Roger Manning, can't remember, Morrison Lowe, Vestel Jaques, Alvin Boyd, can't remember, and can't remember. 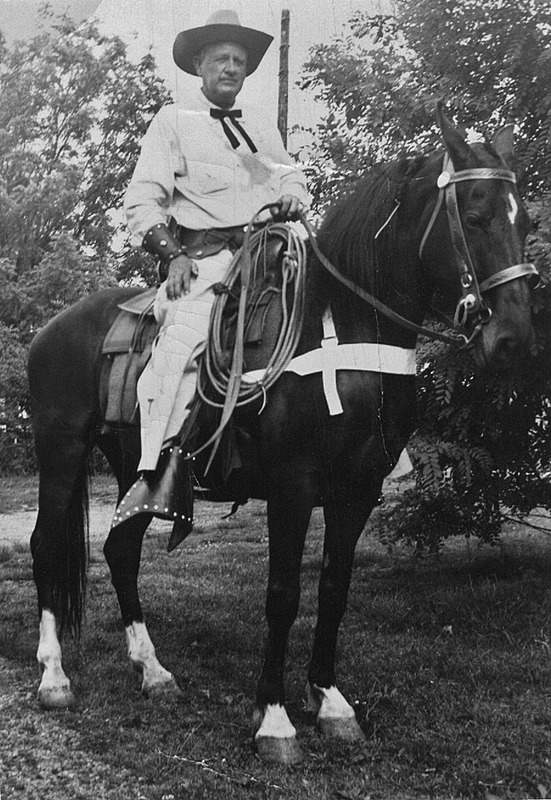 Hubert Crawford has loved horses all his life and was a member of this club until he was no longer able to ride, shortly before he died. He was one of the charter members in 1959. He served as President of the club, as I did. This group of horse lovers trailered their horses to locations around the Upper Cumberland area on Sunday afternoon and rode circular routes of ten to fifteen miles back to the trailors. At the end of the ride, the sponsor for that week served snacks and drinks for the tired riders. Our two daughters often rode their ponies on shorter rides with the group. 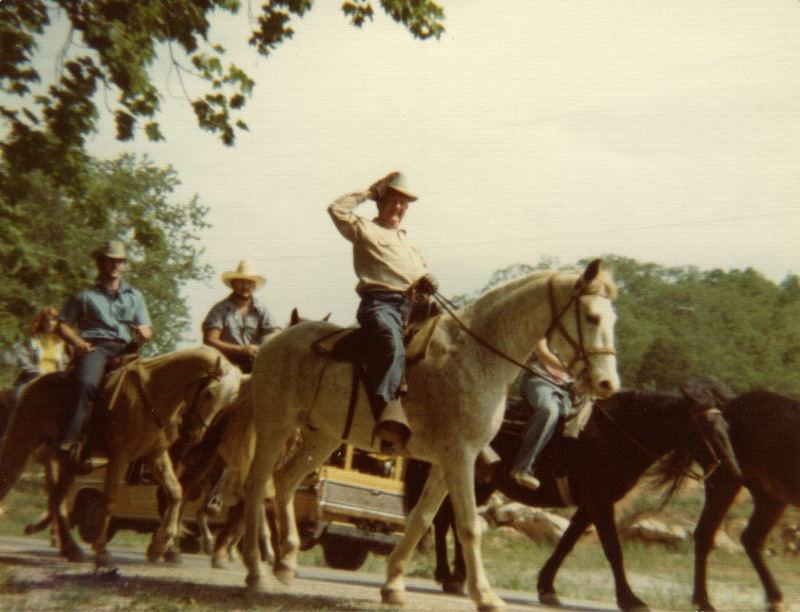 The picture below shows a typical ride in progress about 1980 or so, with me in a plaid shirt in the middle front. I don't see Hubert in this picture, so it may have been taken shortly before his death when he was no longer able to ride. This picture below of Hubert was taken around 1960. The picture below of Hubert on a white horse was taken in the late 1970s.